Egyptian businessman Naguib Sawiris has taken over as CEO of the parent company of Cheo Technology, which runs North Korea’s Koryolink 3G cellular telephone network. Sawiris assumed the top job at Orascom Telecom Media and Technology (OTMT) after the former CEO, Ahmed Abou Doma, stepped down for personal reasons. He had been CEO for less than a month, taking the job on October 1. Earlier in October, Sawiris made his latest visit to Pyongyang. He arrived in the North Korean capital on October 12 and left two days later. During his trip, he met with DPRK Premier Pak Pong Ju at Mansudae Assembly Hall and, as is customary, presented a gift for Kim Jong Un, the Korean Central News Agency (KCNA) reported. The news service did not release details of the talks, but it did release some images. The visit came shortly after Koryolink hit 2.4 million subscribers in the country. OTMT owns 75 percent of Cheo Technology with the remainder being owned by North Korea’s Ministry of Posts and Telecommunications. 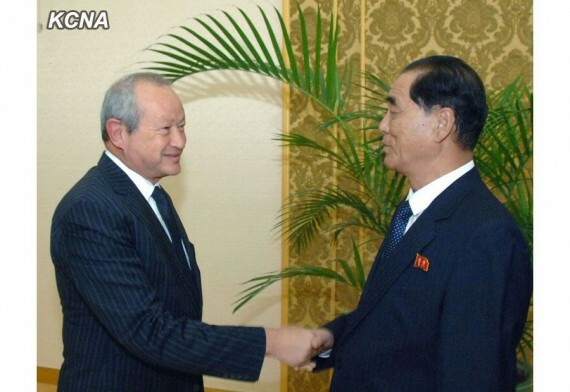 Sawiris has been visiting North Korea since before Koryolink launched service in the final days of 2008. 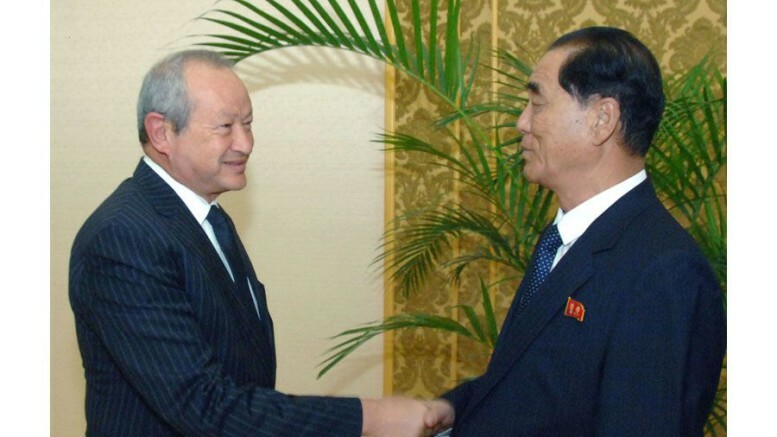 On a visit in January 2011, Sawiris met with Kim Jong Il and Jang Song Thaek, who was then Vice Chairmen of the National Defense Commission. Jang was put to death by Kim Jong Un in December 2013, accused of being a counter-revolutionary. 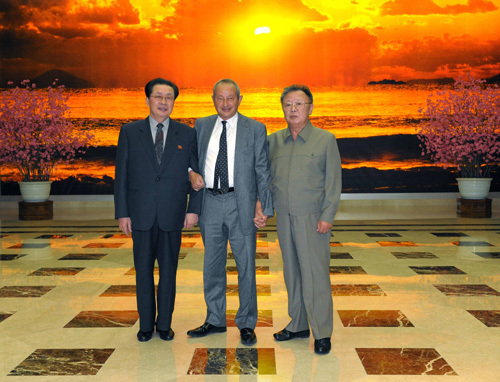 Naguib Sawiris stands between Kim Jong Il and Jang Song Thaek in this January 2011 photo from KCNA. With Sawiris back in charge at OTMT, an analyst told Bloomberg the company’s biggest need is to raise money and the renewed involvement by Sawiris is seen as a sign he is committed to doing that and growing the company. “I am eager to take the chance to turn around this unfortunate hindrance into an opportunity to personally lead a new take-off for OTMT with an ambitious new growth strategy,” he said in a statement. OTMT was created was Sawiris sold the majority of Orascom Telecom’s operations to Russia’s Vimpelcom. Koryolink and a Lebanese cellular network were not part of that transaction and were put under OTMT. Lost phone found in Pyongyang?